Is 60 Minutes Seeking a Broader Syria War? Is 60 Minutes Working for a Broader War in Syria? "Over seven years of civil war, the Syrian government has repeatedly bombed its own civilians; as we saw this past week outside Damascus. Incredibly, it has also continued to use chemical weapons on civilians attacking its civilians, not just a few times, but nearly 200 times..."
The introduction also promises viewers will see the "awful proof" the "Assad dictatorship" is behind the alleged attacks over the course of the broadcast, but that proof isn't forthcoming. Explicitly excluded Pelley's intro. 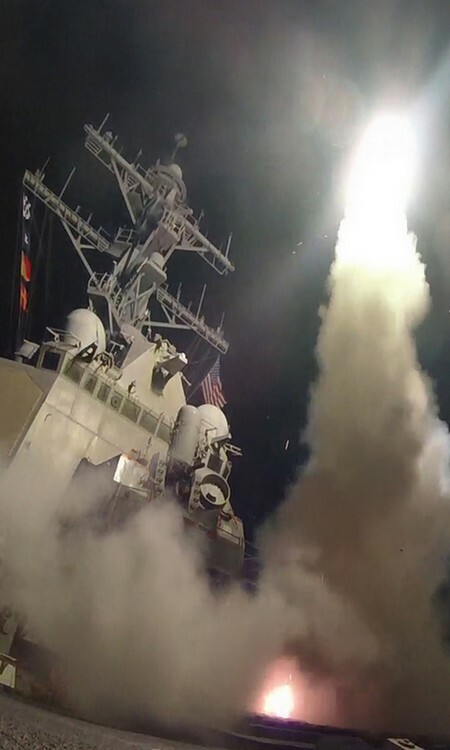 too is any incredulity of a Syrian government motivation, let alone its responsibility for such an attack, one sure to provoke global condemnation, (and in the case of Khan Sheikhoun, predictably provide a casus belli for president Trump's infamous 59 missile salvo response). In that piece, Hersh elucidates a litany of reasons to be dubious of "rebel" claims of the sarin gas attack, not least of which being the opinions of US intelligence insiders, one explicitly saying the claims of both the gas and Assad's involvement are "a fairy tale." Though Khan Sheikhoun did suffer an aerial bombing early in the morning of April 4th, according to American sources closely monitoring the situation between military forces on the ground, it was not the chemical attack claimed. But some of the effects of that attack were used to concoct and sell to the World, and more importantly the White House, a sarin gas story, complete with still pictures, and heart-wrenching video production. "The joint chiefs also knew that the Obama administration’s public claims that only the Syrian army had access to sarin were wrong. The American and British intelligence communities had been aware since the spring of 2013 that some rebel units in Syria were developing chemical weapons. On 20 June analysts for the US Defense Intelligence Agency issued a highly classified five-page ‘talking points’ briefing for the DIA’s deputy director, David Shedd, which stated that al-Nusra maintained a sarin production cell: its programme, the paper said, was ‘the most advanced sarin plot since al-Qaida’s pre-9/11 effort’." 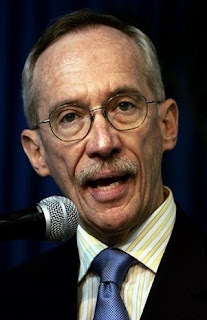 The former UN Assistant Secretary-General for Peacekeeping Operations most notable for his work with MINUSTAH, the UN's long and controversial Mission for the Stabilization of Haiti6 is steadfast in his certitude alleged chemical attacks are not false flags designed to embarrass Assad, and conveniently providing justification for foreign interventions a la France's, it vowing more than once to enjoin Syria's already crowded théâtre de guerre. Perhaps sensing an international appetite to belly-up to the Syrian war banquet is what lay behind former diplomat Mulet's certainty? That same sense of knowing which way the war winds are blowing may too be informing a recent and potentially explosive, Reuters article7 claiming proof Syria is in contravention of it's UN obligations under the Framework for Elimination of Syrian Chemical Weapons. Which again begs the question of Assad's motivation; why, after seven long years of struggle, would he risk a war he's on the verge of winning by mounting high profile attacks employing prohibited weapons? Sadly, it's just another tantalizing element of the Syria saga left missing from the 60 Minutes report. Instead, what we're left with is a one-sided narrative that seems determined to create antipathy for the Syrian "dictatorship" and, through the calculated use of images of dead children, rouse the emotional ire of the venerable investigative journalism staple's viewers to such a state they would support further American military involvement there. With all due respect to Senor Mulet and his OPCW colleagues, if anything is certain today it is the fact that, following 17 years of military adventurism in Central and West Asia the region is a wreck. What is needed least there now is the United Nations and western news services serving as agencies for the continuation and escalation of what is beginning to appear an endless war.